Faucet Face makes awesome water bottles that don’t harm the environment! Check out these 7 reasons Water is Essential, even when it’s cool outside! 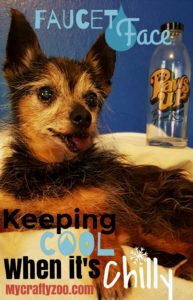 7 Reasons Water is Essential when It’s Cool out! I don’t know about you, but as the weather cools down my desire to drink water slows down as well. Though I know I need to drink it, that doesn’t seem to make much difference to my ever so tempting juices, teas and coffee. people lose between one to two quarts of water a day via evaporation from the lungs. Sweat evaporates more quickly in cold, dry air so often we may not even realize we are sweating, therefore not think of the fact that we are needing more water! Even mild dehydration can cause tiredness, headaches, lack of concentration, reduced mental performance and dry skin! TheInstitute of Medicine (IOM) recommends men get roughly three liters of total beverage intake every day, and women get 2.2 liters, while others say there’s no need to force water consumption if you’re not thirsty. Now, I don’t know about you but I have a water bottle that I just love (now I have a few) and for some reason that makes keeping myself hydrated a little easier. I’m assuming it’s because I love it that I will keep it by me. Not real certain the psychology behind that but I don’t want to break it down and lose the ‘magic’ of my water bottle getting me to consume more water. It also helps by keeping me from buying sodas while I’m out because I always have it by my side. As I mentioned before, I now have some new favorite water bottles. Faucet Face has some adorably cute, great to drink out of bottles! I’m extremely loyal to my current water bottles so I’ll admit that I procrastinated on trying them out. Once I finally did I was hooked. Now I’m having to fight myself not to have a couple full of water in all my favorite places to chill around the house! Honestly, my only complaint would be that they are smaller than my normal 32 oz water bottle, the ones I have only hold 14.4 oz. You can see from the picture that they have some adorable designs, but this is only a piece of them. There are even more on the site! Plus, you can order custom designs and I think that is even more awesome! 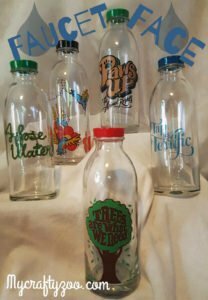 I’m definitely going to be ordering some custom bottles as gifts for Christmas and birthdays this year! 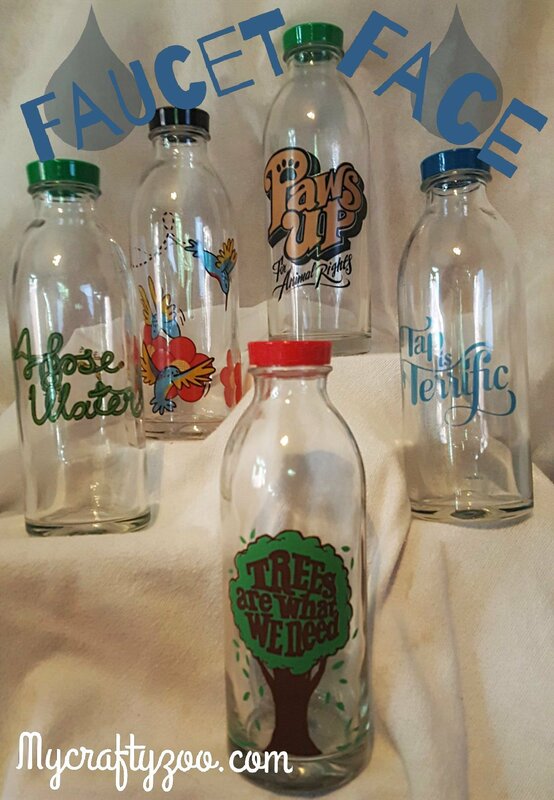 Through its 1 for 100 program, Faucet Face donates 2.5% of ALL sales of hose water, tap is terrific and hummingbird feeder glass water bottles, PLUS, a complete filter for each sale of 5 or more individual bottles to the clean drinking water charity Third Millennium Awakening (TMA). 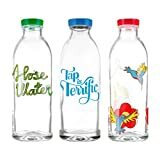 Faucet Face Gift Pack - 3 Classic Design, Reusable Glass Water Bottles, 14.4 Oz. Stay Hydrated Reusable Glass Water Bottle By Faucet Face, 14.4 Oz. Hose Water Reusable Glass Water Bottle By Faucet Face, 14.4 Oz. Hummingbird Feeder Reusable Glass Water Bottle By Faucet Face, 14.4 Oz. Pingback:Faucet Face Giveaway - Here We Go Again...Ready?